We at Keynote are responsible for the largest and longest running conference in the blockchain space, having run 12 global conferences since 2012. This time, not only are we hosting two days of non-stop, thought provoking speeches about Blockchain and disruptive technologies, but we will also be hearing from the biggest in the industry about the hottest new thing in the crypto-currency community – ICOs. MAIN STAGE – The conference will cover a wide array of topics including blockchain technology, Bitcoin and Ethereum, ICOs, token sale mechanics, investing, regulation, startups, disruption, and much more. Blockchain industry speakers will be presenting throughout the two day conference in the main theatre in 20 minute speaking slots. EXHIBITOR HALL – Our spacious exhibitor hall is where you will have the opportunity to meet and interact with companies making huge waves in the crypto world. You will be able to ask questions and network with upcoming ICOs and companies changing the world of blockchain. PITCH YOUR ICO – The Pitch Your ICO sessions at TNABC is a unique opportunity for our attendees to hear from the founders about the newest and hottest upcoming ICOs. Each ICO will have 7 minutes on the main stage to present their projects, and answer some questions you may have. These ICOs will also be set up in the Exhibitor Hall for further networking opportunities. 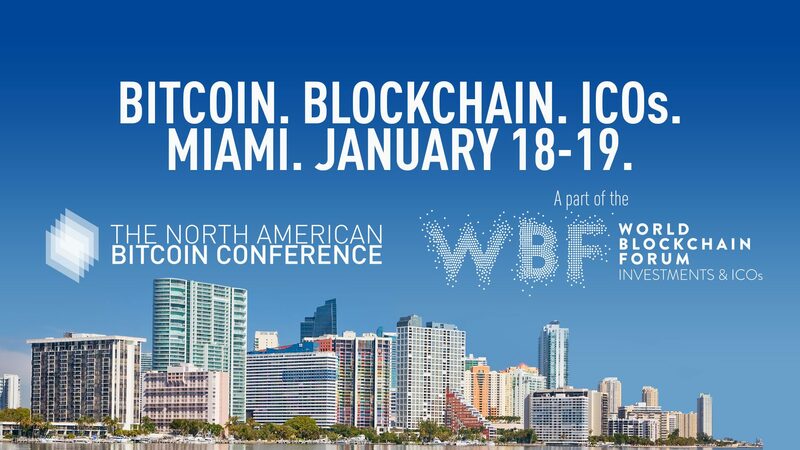 The James L. Knight Centre in downtown Miami will provide the inspirational backdrop for The North American Bitcoin Conference. Steeped in history and architecturally magnificent, this unique venue guarantees an atmosphere befitting the conference’s caliber.